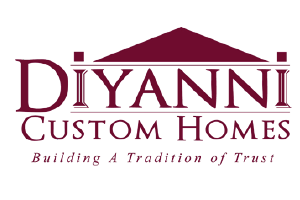 DiYanni has built over 2000 homes right here in central Ohio over the last 34 years, and take great pride in our workmanship, and serving our clients. Our team of professionals, project managers, sales staff, and designers, have vast experience in the home building industry, and are trained to build according to the highest standards for custom home building. We are a full service Design/Build company who can assist you in finding the right piece of property, and design a home plan that is uniquely you.